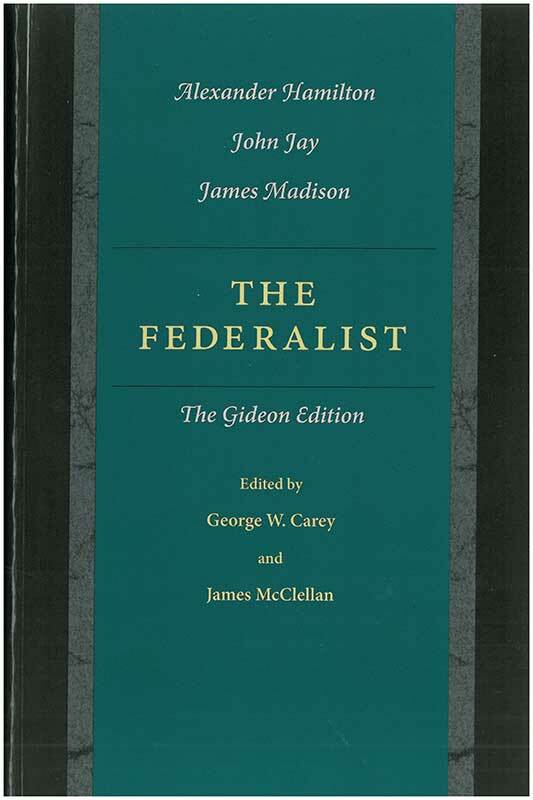 The Federalist, by Alexander Hamilton, James Madison, and John Jay, constitutes a text central to the American political tradition. Written and published in newspapers in 1787 and 1788 to explain and promote ratification of the proposed Constitution for the United States, which were then bound by the Articles of Confederation, The Federalist remains of singular importance to students of liberty around the world. James McClellan (1937–2005) was James Bryce Visiting Fellow in American Studies at the Institute of United States Studies, University of London. Introduction, reader's guide, preface to the Gideon Edition, glossary, appendixes, index.